It’s been a while since my last post. I’ve finally found some time to write about GLPi’s new version (first minor GLPi 9.2.1 is out). A couple of months, ago Teclib‘ released a video unveiling exciting new features. Let’s try to deep dive into them, hoping you find them useful to help you move forward and upgrade your old install, or simply give it a try to find out what a great opensource IT asset inventory and helpdesk tool you’ve been missing. 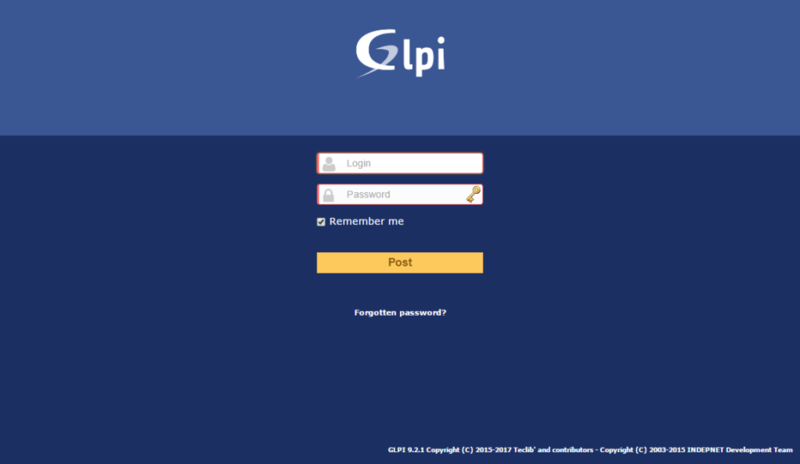 Without further ado, let’s review GLPi 9.2 new user interface and user experience. The first improvement is easily found on the login screen. 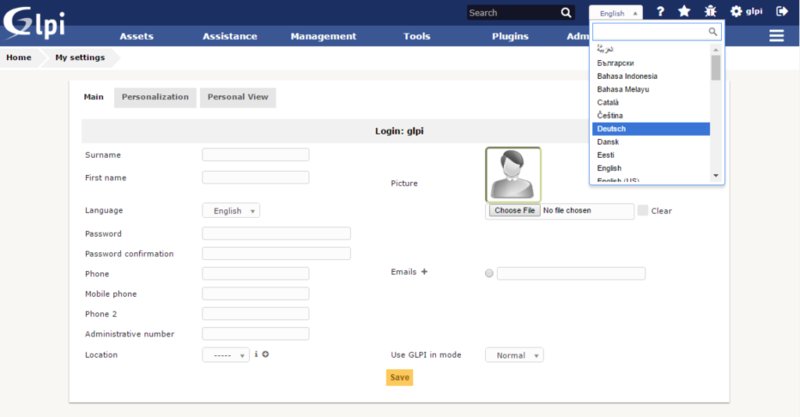 Now you can save some precious clicks and time, by checking Remember me. If you haven’t setup SSO, both you and your users would be tired of writing clicking the Accept button. Even if you have your credential saved on your browser, you’ll love it. Really? Is this a feature? I can hear you wondering. 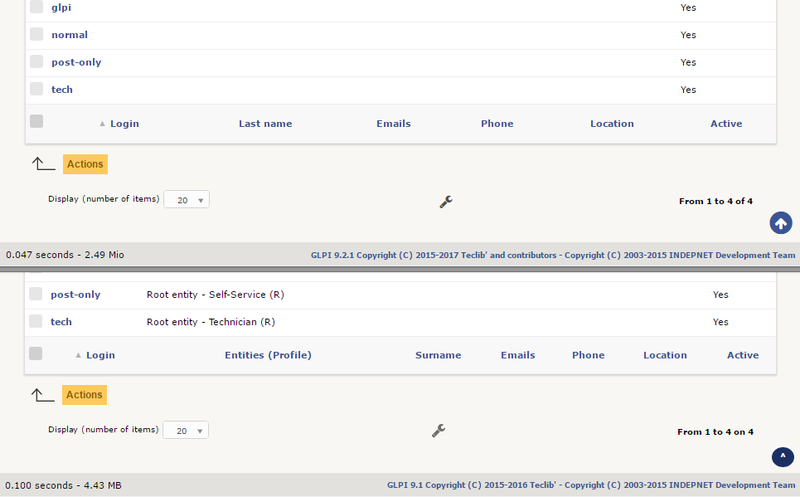 Well, GLPi has 40+ languages support, and in case yours is not, you can start a new translation project or join an existing one at Transifex. So, what is this new feature about? The real improvement here is how you can get to it. On the top right corner there’s the usual language indicator, but when you click on it, becomes a drop-down where you can choose current user language. As an end user (post-only or self-service) you won’t take advantage of it, as an admin or developer, you will, though. I know, I know. Every piece of software out there, alleges the same on every release. Well, this is not a serious benchmarking, but I think the numbers are clear here. Please check the image below. Two containers on the same docker environment, running Debian 9 with 1 GB RAM. I buy it. Your thoughts? Enough for this first post. Is it GLPi 9.2 worth the effort? Yes, indeed! Please upgrade and leave some feedback if you dare ;). Not ready for it, or don’t have the time? We can help: implementing, migrating, upgrading, consulting. If it is GLPi related, you can contact us.